The designs, construction techniques and materials for RC roofs, gutters and slabs usually vary from one building to another. However, they also have a few things in common; concrete and metallic components. In the construction of both RC roofs, gutters and slabs, concrete and metallic materials like, steel, aluminum and copper are used. As a result of this, these features are generally considered strong and resistant to extreme weather conditions. That said, it should also be noted that the longevity of a structure does not entirely depend on the particular materials used in its construction. Despite the durability of RC roofs, gutters and slabs, they can also experience damage from a wide range of causes. Whenever this happens, it is not only these features that will be affected. Since both the RC roof, gutter and slab are part of the building, even the slightest damage on either of them could have devastating impacts on the integrity of the overall structure if it is not addressed effectively on time. Unlike most structural components, diagnosing and fixing problems on RC roofs, gutters and slabs is not usually for the average home owner. The most convenient way to ensuring that the integrity of your structure is not threatened by problems originating from the RC roof, gutter or slab is having a reliable concrete expert to conduct thorough inspections and provide suitable repair solutions. Waterproofing Singapore are the most dependable partner that can always help you in dealing with all forms of damage on RC roofs, gutters and slabs. We have the expertise to perform regular and proper inspections on your RC roof, gutter as well as slab and, deliver lasting solutions. Although RC roofing is not a new concept in the construction industry, most people are not quite conversant with it. RC roofs have been around but, they only became popular in the past decade. Even today, RC roofs are only common in the UK, US and Canada. Since a handful RC roofs can now be spotted in a few homes and commercial premises across Singapore, it will not take long before the trend heats up. Thus, it is just in order that you should know a few things about RC roofs. RC roofs are usually made from various kinds of materials including, concrete. These roofs are usually stronger and, can withstand damage from a wide range of harsh weather and environmental elements like, overheating by sun rays, rain, snow and ice. RC roofs have better insulation properties, ensuring that the house remains warmer even in rainy seasons. During day time, an RC roof can also effectively regulate the temperatures, protecting the house from the impacts of intense heat. One unique thing about RC roofs is their versatility. The roofing can be done on new as well as existing buildings. Whether your building has a flat roof, slating or lead works, it can be easily re-roofed with an RC roof. However, it should be noted that the construction of RC roofs is usually more costly than most common types of roofing. Besides, both RC roof construction, replacement and repair requires an expert with an experience in RC roofing. Unlike RC roofs, gutters and slabs are a common spectacle in almost every home and business premises. There are various elements that can cause damage to the RC roof, gutter or slab of a building. One of the ways damage can occur on these parts is if the construction was not done to standard. Buildings with RC roofs, gutters and slabs that are poorly constructed are usually vulnerable to frequent problems, resulting into quick deterioration and ageing. Besides poor construction, RC roofs, gutters and slabs can also experience leaks due to lack of maintenance. Gutters should always be unclogged after heavy rain to avoid accumulation of moisture, which could impact rust and leaks. Slabs can also wear out over time, leading to cracks and chipping. Besides, placing very heavy and sharp objects on the slab can also create cracks. Water intrusion into the slab or RC roof sis also another key cause of damage that can easily wreck the foundation, walls and other structural components. Whenever you are experiencing any form of damage on your RC roof, gutter or slab mentioned above or not, it is always advisable to immediately talk to us. We will send a team of experts to carry out a thorough inspection on the RC roof, gutter and slab in order to ascertain all the problems. We have the right tools and equipment for proper diagnosis of both simple and complex problems experienced on these structural features. Our company has a well-developed network across Singapore to ensure that we are always able to respond to clients in the shortest time. After the inspection, we will prepare a free quotation, highlighting all the problems diagnosed and suitable repair solutions. In every quotation, we involve clients to ensure that you are able to get the best solutions tailored to your needs and budget. Hence, a guarantee of accurate RC roof, gutter and slab repair estimates. Since the problems usually vary from one component and structure to another, we do not have a particular RC roof, gutter and slab repair approach. In every project, we always deliver customized repair solutions based on the problems experienced and expectations of the client. But, our RC roof, gutter and slab repair services cover all areas including, unclogging blocked gutters, fixing leaks, cracks among others. 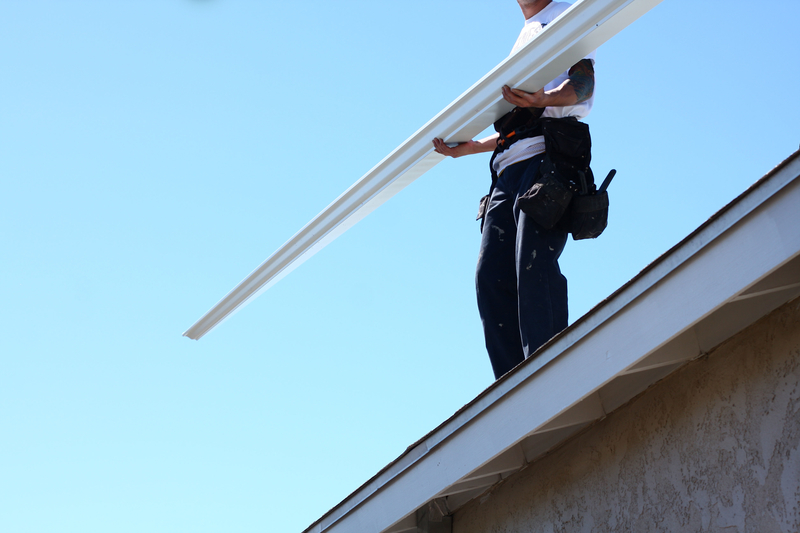 In cases where replacements are required, we will also choose the best quality for your RC roof, gutter and slab. Due to our experience, we have a better understanding of the most suitable materials that are safe, efficient, long lasting and affordable. Our goal is to provide the best RC roof, gutter and slab repair services that will effectively solve all your worries and, enhance the longevity of your home or business premises. Simply talk to us for a free RC roof, gutter and slab repair estimate.